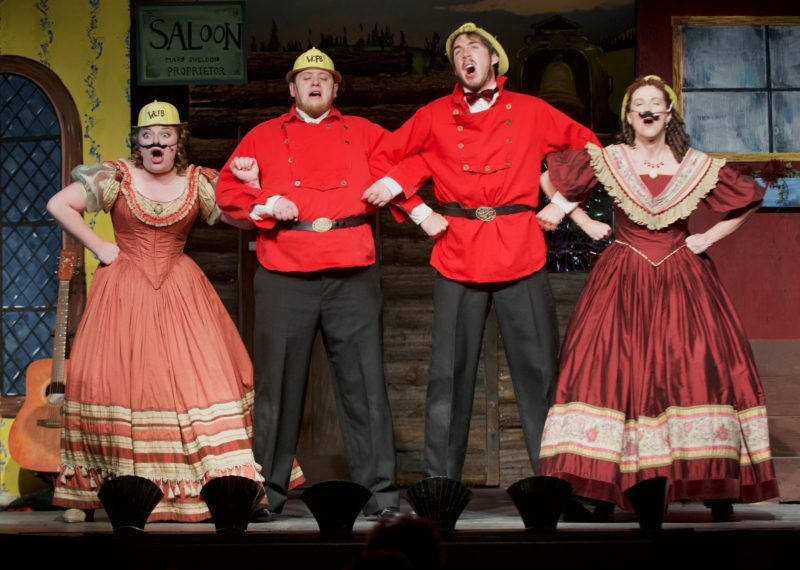 (BARKERVILLE HISTORIC TOWN) When Barkerville’s Theatre Royal said they wanted to hit the road this spring for a rousing musical performance tour, it was music to the ears of the New Pathways to Gold Society (NPTGS). So the Society granted $5,000 towards the Phoenix Tour without missing a beat. “We are delighted to help make this tour through the communities hardest hit by fires and flood over the past two seasons possible,” said NPTGS Co-chair Terry Raymond. The Phoenix Tour will give communities from Wells to Ashcroft a high-energy song and dance performance, connecting them to the spirit of resilience of previous generations of residents who rebounded from misfortune, rebuilt and prospered. Producer Richard Wright of Theatre Royal and the Newman & Wright Theatre Company says the May 4-14 tour will show the Cariboo is open for visitation, celebrating the region’s resilience. He said the show takes its inspiration in part from how Barkerville rebuilt following the disastrous fire of September 1868. The show’s core is a performance of “Mrs. McGinley’s Gold Rush Variety Show.” Set in 1869, it features songs and dances suitable for the entire family. From farcical comedy to a poignant song from home to rousing dance numbers, the performance will bring a smile to the faces of audience members and get their toes tapping. “We have a talented, professional six-person troupe staging the show and we greatly appreciate New Pathways to Gold Society’s financial support,” said Wright. Other sponsors include the Community Resilience Through Arts and Culture program (Ministry of Tourism, Arts and Culture), Barkerville Gold Mines, the Friends of Barkerville Cariboo Goldfields Historical Society, Barkerville Historic Town & Park and Frog on the Bog/Mountain Thyme/St.George Hotel. “These local performances have tremendous power to bring people within the community together,” said NPTGS First Nations Co-Chair Cheryl Chapman. For the latest on performance dates and other information, please visit the Theatre Royal Facebook page. And check out this video clip of the 2017 performance of “Mrs. McGinley’s Gold Rush Variety Show” staged at Theatre Royal in Barkerville Historic Town & Park. NPTGS and the project partners gratefully acknowledge the financial support of the Province of British Columbia. May 8: Fraser Lake, 7 p.m.
May 12: Ashcroft, Ashcroft Hub, 7 p.m.